Join 'Friends' and over 900 local nonprofits for a 24-hour giving day event that supports the St. Louis community! Learn more about Give STL Day in this short VIDEO. Last year, $2.1 million dollars was raised to support the missions of 790 St. Louis organizations. 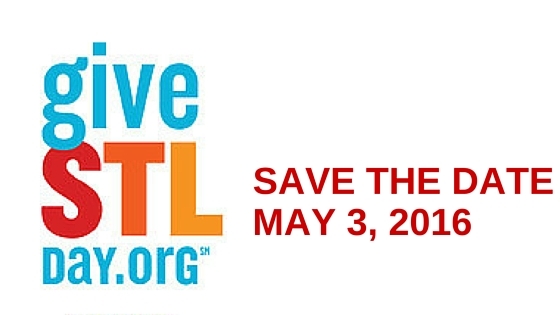 Be a part of Give STL Day and make a difference! 1. Mark your calendar for Tuesday, May 3 and bookmark our GIVING PAGE. 2. Support Friends of Kids with Cancer by making a donation on Tuesday, May 3rd. 3. Help us spread the word! Share our GIVING PAGE and follow us on FACEBOOK and TWITTER. 10 AM - 10:20 AM: The St. Louis Community Foundation is offering a pro-rated match! 12 PM - 12:20 PM: The St. Louis Community Foundation is offering a pro-rated match! 7 PM - 7:59 PM: For raising the most during this hour, we'll receive an additional $1,000! 10 PM - 10:59 PM: For having the most donors give during this hour, we'll receive an additional $1,000! Thanks for helping kids with cancer...be kids!